Fantastic Spring Hill 2-Story! This home features: large kitchen with granite counters, walk-in pantry, eating space just off the deck, spacious main level with a formal dining room, high ceilings, family room with a cozy fireplace, living room, tons of light, study/den and 1/2 bath. The upstairs has brand new carpet, 4 spacious bedrooms and 2 full bathrooms including a large master with a 5 piece master bath and walk-in closet. The basement boasts a large family/game room (sellers would like to leave the pool table), additional 3/4 bath and loads of storage. Outside you'll find a private backyard, large deck (perfect for entertaining) with a natural gas line and grill, garden areas, adorable side yard with an additional room for patio furniture/fire pit etc. 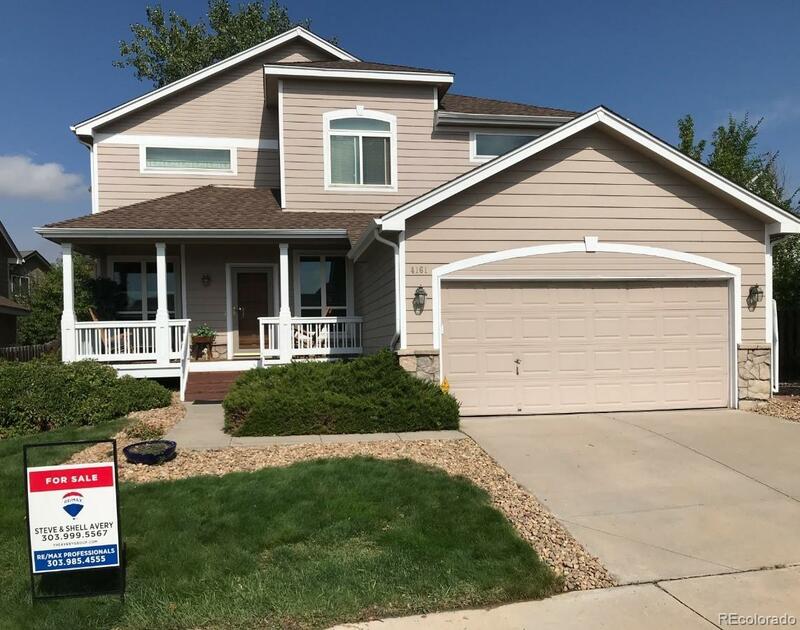 Situated on a quite street, in a great neighborhood, close to C-470, Hampden, Bear Creek Park, Red Rocks, shopping and the foothills. This one is a must see! !